Please write or call Ald. 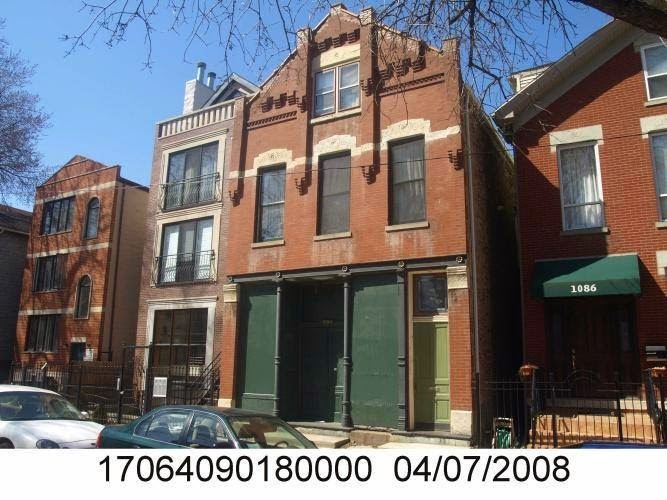 Proco Joe Moreno (773-278-0101 or 1stwardmoreno@gmail.com to stop the demolition of the 124-year-old building at 1084 N. Hermitage St. The building should be saved because of the quality of the construction, the nature of the masonry work and the energy embodied in the structure. It's not in the East Village Landmark District or the city's Historic Resources Survey, but it represents a style rapidly disappearing in our community. Building permits require securing a demolition permit within 30 days. A delay offers a chance to mediate, or propose an alternative. Preserving buildings that are valuable but not landmarked has been a longstanding position of the East Village Association. The character and history of the 1st Ward community should be preserved. I'm all for trying to preserve the character and charm of longstanding neighborhood architecture, but this isn't it! It's an ugly building with the first floor facade as is, the zero setback looks out of place and it wouldn't be a negative to the rest of the block losing this building. Who is to say the building replacing it will not have the zero setback, as well? At least it is not another poorly built cinder block building susceptible to mold. I agree, i'm all for demolition and rebuilding. It's up to the buyer to do what they want with the land, not ours. Plus this building is a piece of crap.